With just a few hours notice, this past Thursday Nintendo held a Nintendo Direct broadcast. In this video, Nintendo detailed Wii U and Nintendo 3DS games planned to launch thorough this summer. I’ll have to admit, this Nintendo Direct literally sent chills down my spine with all the juicy news coming from the Nintendo camp. Nintendo’s new loyalty program called My Nintendo was introduced, and promises to reward you for interacting with a Nintendo products and services in a variety of new ways. In addition, Miitomo, Nintendo’s first smart device app was mentioned. Upon registering, you’ll get an email notification when the app is available and start earning My Nintendo platinum points. Without further ado, let’s take a look at some of the major highlights of this Nintendo Direct and see what’s coming to the Wii U in the near future. We got an update on the much-anticipated Star Fox Zero game from the legendary game producer Shigeru Miyamoto. Similar in plot and structure to the Star Fox game on the Nintendo 64, the story and map structure have been completely redesigned. 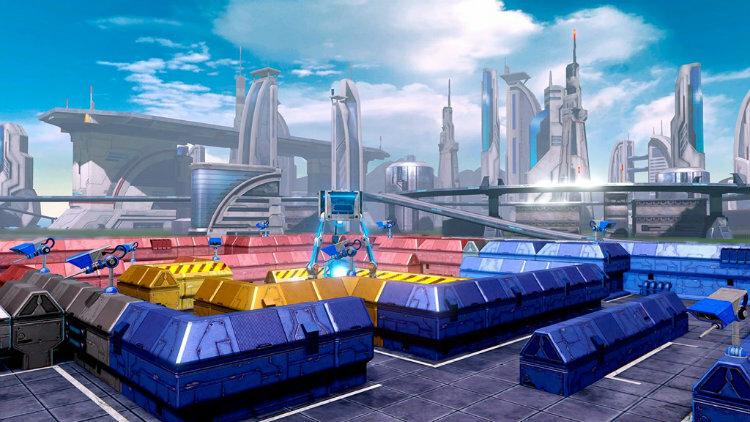 New to the Star Fox franchise are teleporters, which appear in the game, they have a big impact on the branching paths in the map and play a big part in Star Fox Zero’s storyline. Nintendo demoed Star Fox Zero’s two-player mode, which one player can fly the Arwing while the other player aims and shoots with the Wii GamePad. This two-player mode looks truly unique, and I can see my family and I having a great time trying to clear the levels. Amiibo fans need not to worry; Star Fox Zero supports the Smash Bros Fox amiibo. In what was a surprise to many, Shigeru Miyamoto announced a Star Fox Zero companion game called Star Fox Guard. This comes packed with the retail Star Fox Zero game, and in this neat little game, you take control of 12 cameras to find and defeat enemies. You can create, edit, and upload your own custom levels on line for others to play. I can hardly wait for Star Fox Zero and Star Fox Guard to launch on April 22nd! 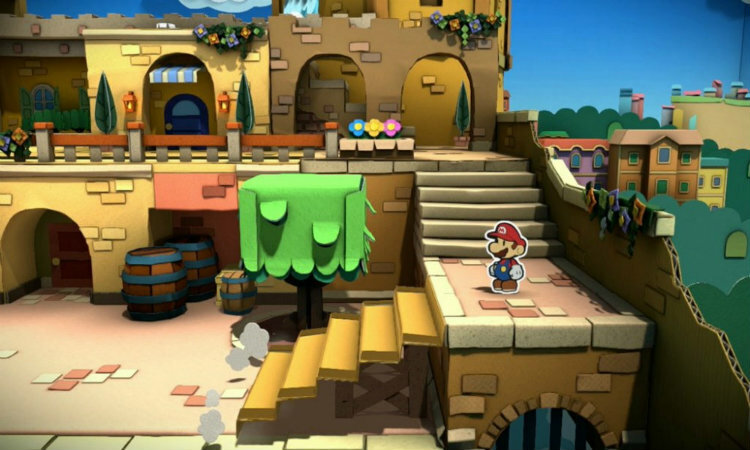 The next entry in the popular Paper Mario series, Color Splash was announced. Featuring our favourite Italian plumber, Prism Island has been drained of all its colour. It is up to Mario to use his new paint hammer to restore colour to the once vibrant Island. 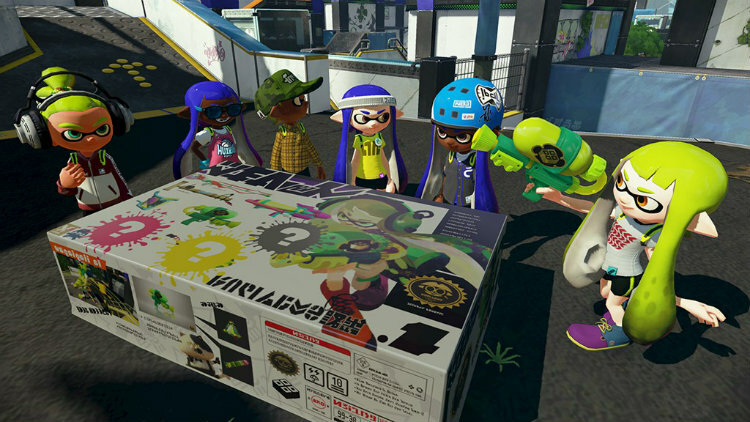 A specific release date was not announced, however it is expected to launch in 2016 on the Wii U. Both Super Mario Maker and Splatoon are getting some important updates. Coming March 9th, Super Mario Maker will add a Super Expert mode to the 100-Mario Challenge. 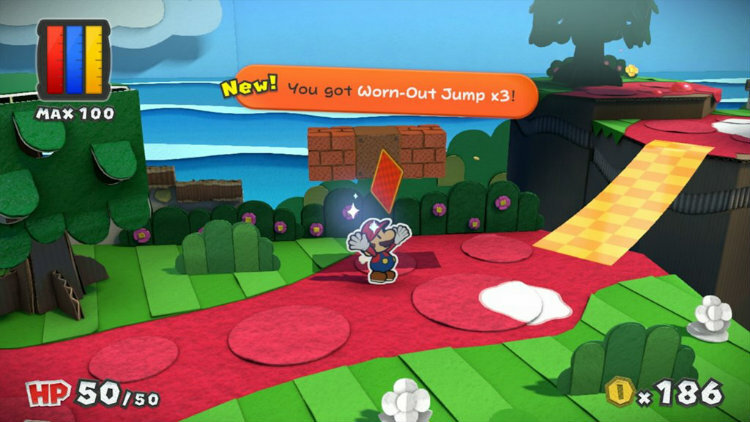 Accessible only after you have cleared Expert mode, the Super Expert mode is set offer gamers a real challenge. The update also includes 12 new Mystery Mushroom costumes and more tools for level creators. Coming March 8th to Splatoon is an update that will offer tweaks, balances, and improve some of the lesser-used weapons in the game. Another update is scheduled for April 1st, and will roll out in two waves. This will adjust some existing weapons, and add new weapon set recommendations called “Sheldon’s Picks”. Splatoon, which was my game of the year for 2015, has been well supported by Nintendo and remains one of my all-time favourite games. 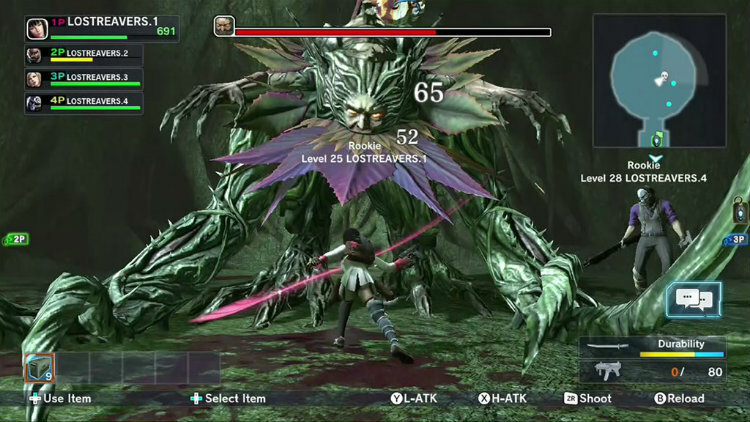 Originally revealed during a Nintendo Direct last year, Lost Reavers is an upcoming free-to-play online co-op game from Bandai Namco. You can team up with other players online, as you fight zombies, solve puzzles, and search for treasure around the world. As you progress in the game, your character will level up allowing you to acquire new weapons. An open beta version will be available April 14th, and the full version of the game launches April 28th. Lost Reavers looks interesting and fun to play; if the online community is there, this game could do quite well on the Wii U.
Nintendo 3DS owners have plenty to be happy about with this recent Nintendo Direct. Owners of the New Nintendo 3DS and New Nintendo 3DS XL are in for a treat—Super NES games are coming to the Virtual Console. Pixel Perfect representations of F-Zero, Pilotwings, and Super Mario World are available now. Later this month, many more games such as Donkey Kong Country and Super Mario Kart will be available for download. You’ll be tickled Pink to know that Kirby is head back to the Nintendo 3DS. Invaders have mechanized Dream Land, and Kirby muse their technology against them to restore his home to its original form. As in previous Kirby games, you can jump from foreground to background, and more than 25 copy abilities. 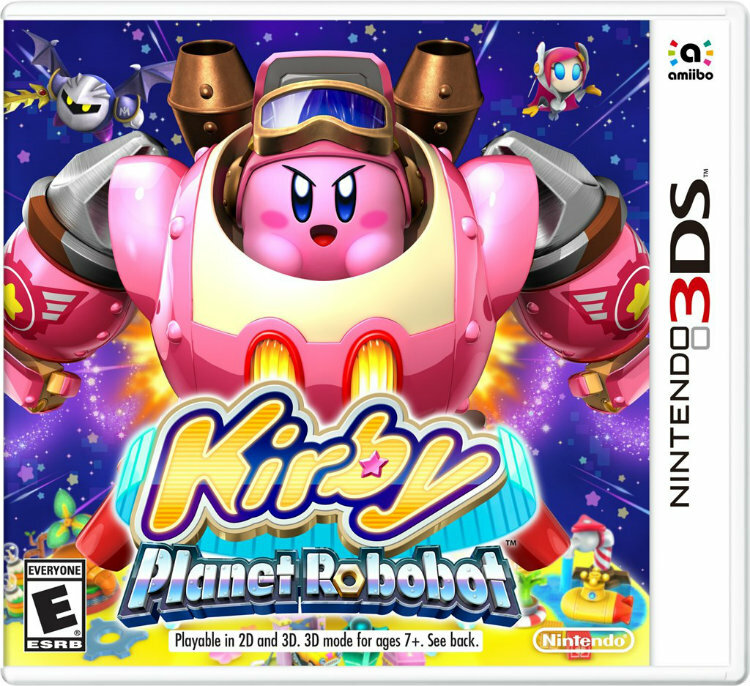 Kirby’s robobot armour is extremely strong, and can destroy obstacles that get in your way. Just like Kirby, the robobot armour can copy enemy’s abilities and use modified versions against them. In addition, there is a separate mode in this game called Team Kirby Clash. Where up to four players can team up to battle against powerful bosses and complete quests. Supporting download play, you can play with friends who don’t yet have the game. By tapping any amiibo on your New Nintendo 3DS screen, you’ll give Kirby new copy abilities that he can use in battle. Launching June 10th, Kirby fans will want to be sure to check out this game. 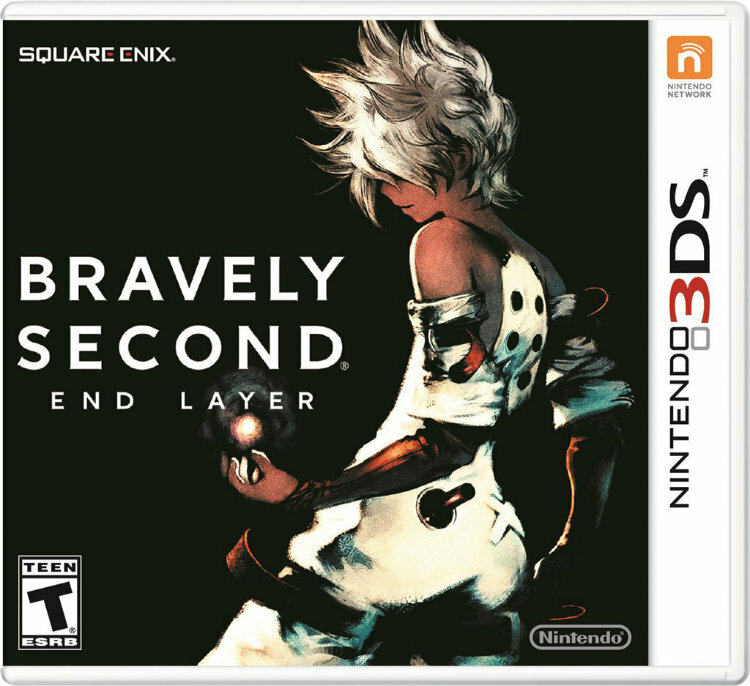 The sequel to the popular RPG Bravely Default will be getting a free demo in the Nintendo eShop on March 10th. The exciting jobs your character could perform to learn new powerful abilities were a big part of the allure of Bravely Default. Bravely Second: End Layer contains many new jobs such as the Wizard, which allows you to customize spells with added effects. In addition, the Cat Mancer learns the moves of the monsters you encounter, and then trains cats to perform them in exchange for treats. By playing the demo, you’ll earn bonuses that you can transfer into the full version of the game with it launches on April 15th. 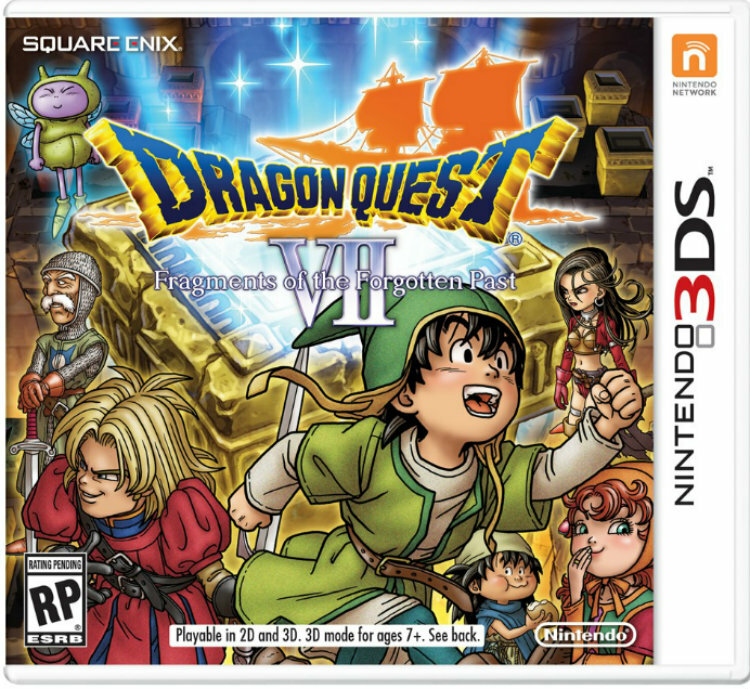 Yet another RPG is headed to the Nintendo 3DS—Dragon Quest VII: Fragments of the Forgotten Past. Completely remade for the Nintendo 3DS, the world has been rebuilt, the characters have new 3D models, and the story has been completely retranslated. As a young son of a fisherman, you set off on an adventure with friends searching the world for fragments of stone tablets. With classic turn-based combat, it looks as if fans of the Dragon Quest series have finally gotten the game that they have been clamouring for. Launching later this year, Dragon Quest VII: Fragments of the Forgotten Past has quickly become one of my most anticipated Nintendo 3DS games this year. Known as Monster Hunter Cross in Japan, Monster Hunter Generations is promoted as the most customizable Monster Hunter game ever. If you play Monster Hunter Generations with Monster Hunter 4 Ultimate save data, you’ll get bonus content in the new game. In addition, a special collaboration armour set based on Marth from the Fire Emblem series is included in the game. 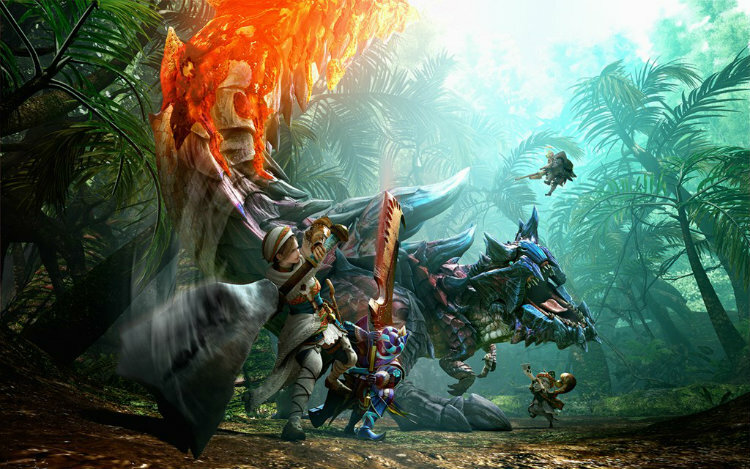 Monster Hunter fans won’t have to wait long, as Monster Hunter Generations will be available this summer on the Nintendo 3DS. 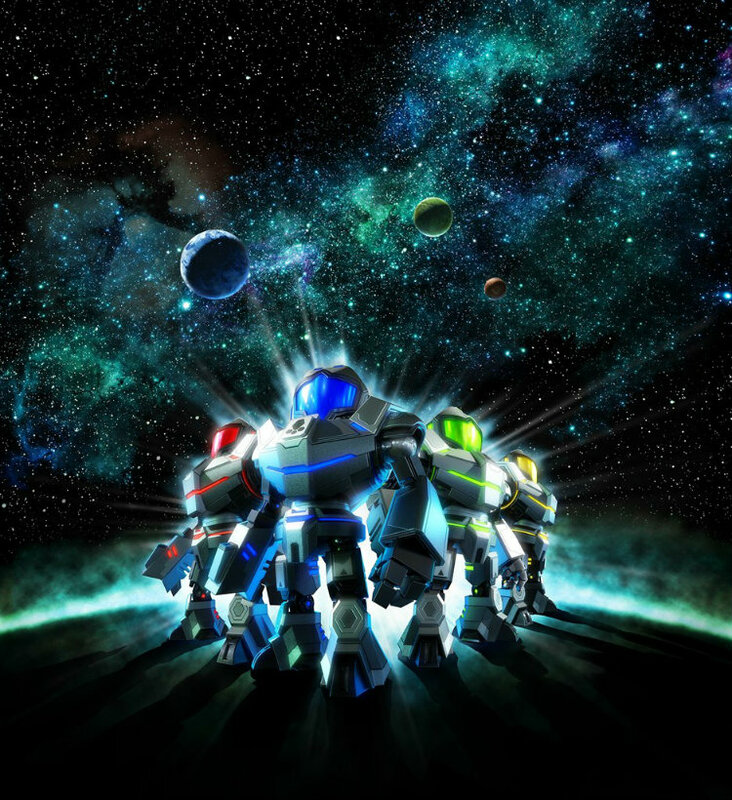 Introduced at E3, Metroid Prime: Federation Force is a first-person adventure that takes advantage of the New Nintendo 3DS extra power and control setup. With a focus on the Galactic Federation and Space Pirates battle, Samus makes an appearance but is not the main character in this game. You’ll play as the Galactic Federation soldiers, where you pick and choose specific sub-weapons based on your characters preferred role—healer, warrior, mage, etc. With up to four players, Metroid Prime: Federation Force looks as if it will off multiplayer fun when it launches late spring of this year. One of the things that I love about Nintendo is it’s spontaneity—within a blink of an eye Nintendo can announce games that they have been working on for years that nobody knows about. This Nintendo Direct was a solid showing for both the Wii U and the Nintendo 3DS. While E3 is just around the corner, one can wonder what else Nintendo has up their sleeves. The Nintendo 3DS looks like it’s going to be putting out games for a long time. On the other hand, the Wii U looks as if Nintendo might have its focus elsewhere—my bet is the NX. Regardless of what Nintendo announces at E3, fans of the Wii U and Nintendo 3DS have a lot to look forward to in the coming months.